Matte finish for the uber chic! 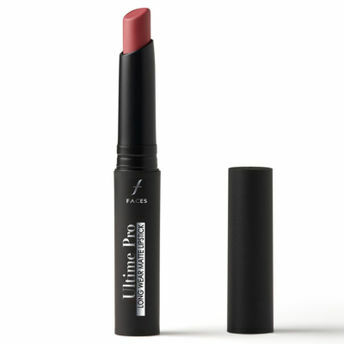 Faces Ultime Pro Longwear Matte Lipstick is a waterproof color burst that lasts for more than 8 hours. Enriched with Vitamin E and anti-aging oxidants, this creamy texture gives smooth high coverage. Available in a range of swanky shades. Matte, waterproof, longstay, enriching, high coverage - what more can one ask for? Explore the entire range of Lipstick available on Nykaa. Shop more Faces products here.You can browse through the complete world of Faces Lipstick .Alternatively, you can also find many more products from the Faces Ultime Pro Longwear Matte Lipstick range.